Once a year, in the spring, we travel with our alumni and friends to a different destination. Since the year 2000, we have been on 21 trips to Europe and the continental United States, always proudly displaying our Iona banner! We call this program our "Alumni Getaway." Our 2018 Alumni Getaway explored Scotland and Ireland. In 2017, we went out west to Yellowstone National Park, the Grand Teton National Park and Mount Rushmore, where we experienced white-water rafting and the Old Faithful Geyser. 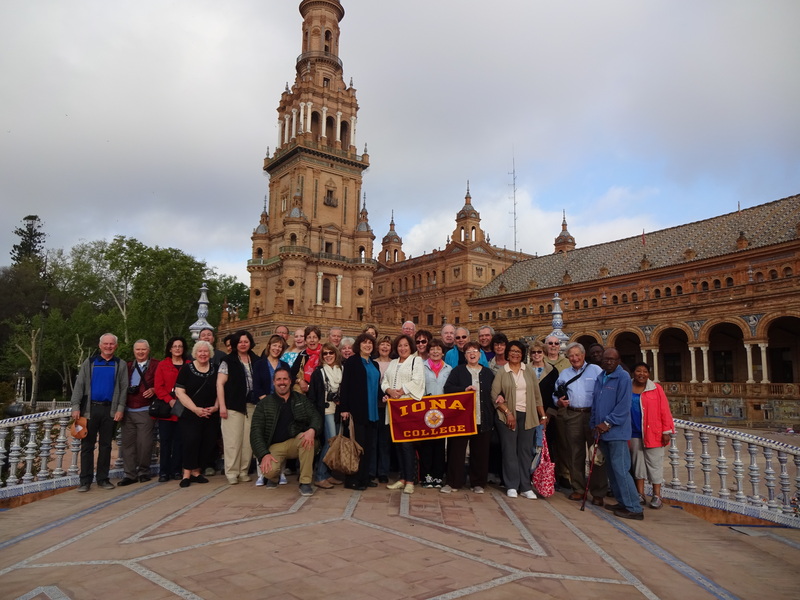 Previous years, we have traveled to Spain with visits to Barcelona, Valencia, Cordoba, Granada, Seville, Toledo and Madrid. We have also traveled to Northern Italy and Switzerland. Some of the other exotic areas we have visited include Austria/Bavaria, Portugal, Ireland, France (Paris and Normandy), Italy, the Amalfi Coast, Rome and Tuscany, the Imperial Cities of the Czech Republic, Slovakia and Hungary. We have also experienced a Mediterranean cruise from Spain to the French Riviera, Sicily and Sardinia! Featuring a 3-night Greek Island Cruise from May 29 – June 6, 2019! For additional information concerning our Alumni Getaways, please contact Eydie Jordan, an ambassador for the office of Alumni Relations at (914) 484-5333 or ejordan@iona.edu. 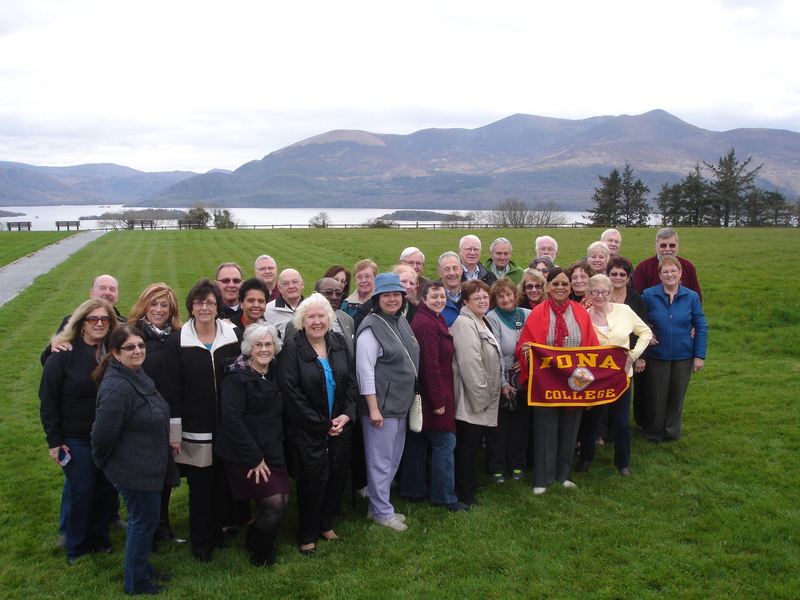 We look forward to seeing you on future trips with our Iona alumni and friends!